The Norikura Skyline will be opened from May 15 (Mon). A mountain opening festival is held at the summit of Mt. 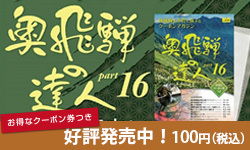 Norikuradake (Tatamidaira) from 10AM on the day of opening, with attractions such as a dedicatory lion dance. 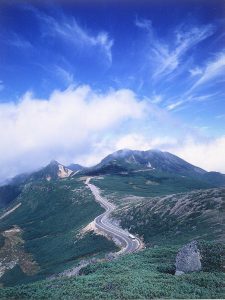 The Norikura Skyline is a fully paved mountain roadway measuring 6.5 m in width and covering a total distance of 14.4 km from the Hirayutoge Pass (elevation: 1,684 m) to Mt. Norikuradake Tatamidaira (elevation: 2,702 m). This, the highest road in Japan, provides a magnificent view of the Northern Alps and Mt. 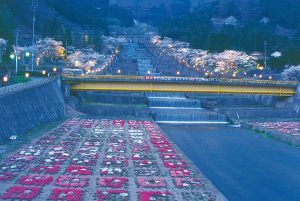 Hakusan of the Southern Alps. 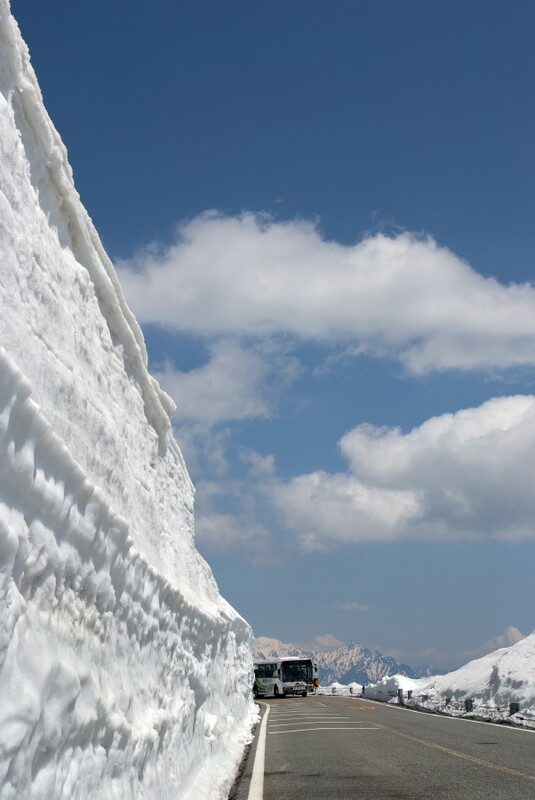 Open period : 15th May – 31th Oct.
* There may be access restrictions depending on weather conditions. *1 This bus stop will be available from 1st July. *2 You can get off at these bus stops only by bus services to Norikura Sancho(Tatami-Daira : summit of Mt. Norikura) direction (2017 period). *3 This bus stop will be available from 1st June. Since 2003, restrictions on personal car use have been place on the Norikura Skyline, meaning you cannot gain access with your own car. Please take a bus or taxi from either the Akandana car park (Okuhida-Onsengo, Hirayu-Onsen) or the Honokidaira car park (Nyukawa-cho). Akandana car park is a convenient place to leave your car and catch a bus to the Norikura Skyline or Kamikochi. * No night stay inside the car parking lot.